Does your room need an update? If you're looking to switch things up and add a fresh Modern look to your space, we offer the hottest styles and fashion in home decor. You will be pleased with the extra soft feel and comfortable night's sleep you're sure to get with our reversible Duvet Cover Sets. Convenient and easy to care for, just machine wash and pull out of the dryer wrinkle free. 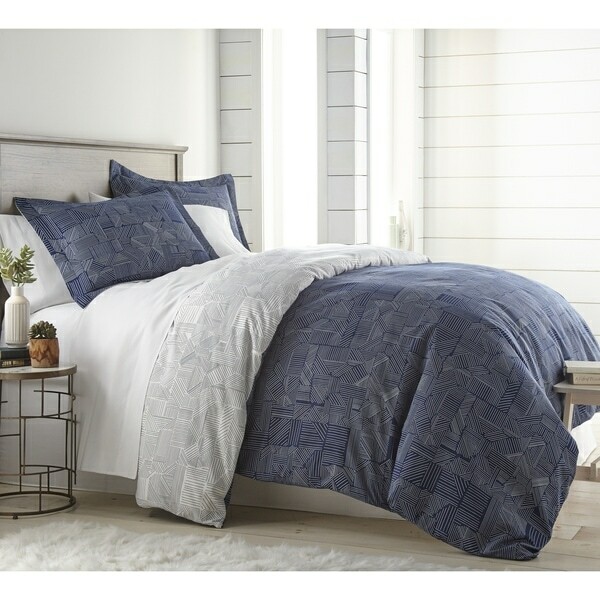 Made with durable insert ties and a hidden zipper this duvet cover is high quality and made to stand the test of time. Purchase risk and worry-free with our promise of a 1-year limited manufacturer warranty. The colors on this duvet were not as pictured on the site. The white side had blue lines instead of the grey that was featured. I thought the quality of the sheet itself was going to be a bit better but it is soft. We’ll see how it does after a few washes.